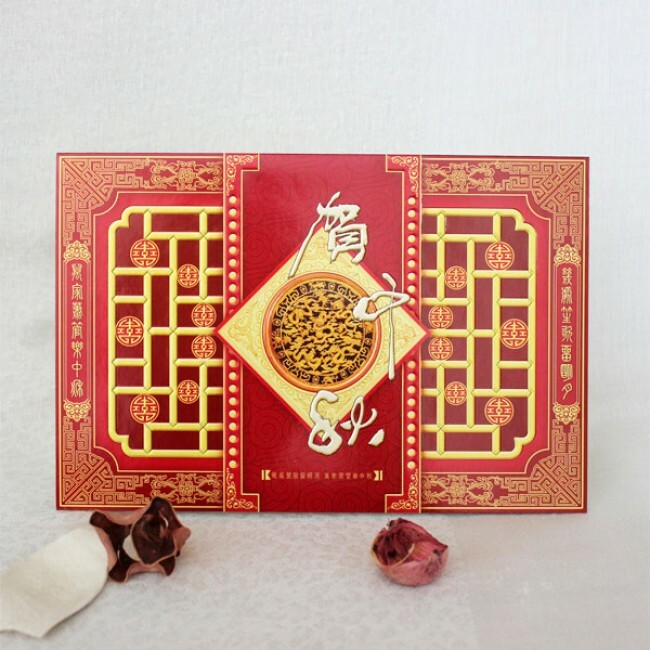 10 moon festival cards are included for one order. The traditional Chinese Moon Festival is also called the Mid-Autumn Festival. Many Asian countries celebrate the festival. On the cards are traditional Chinese patters: the dragon, the golden symbols, the lucky items, etc. 5.6" X 8.5" (14.3cm X 21.6cm), folded paper cards, envelopes included.